A leading foreign correspondent looks at how social media has transformed the modern battlefield, and how wars are fought. 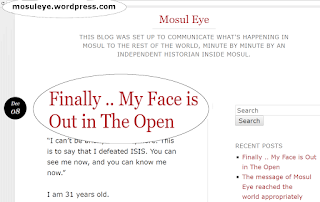 Modern warfare is a war of narratives, where bullets are fired both physically and virtually. 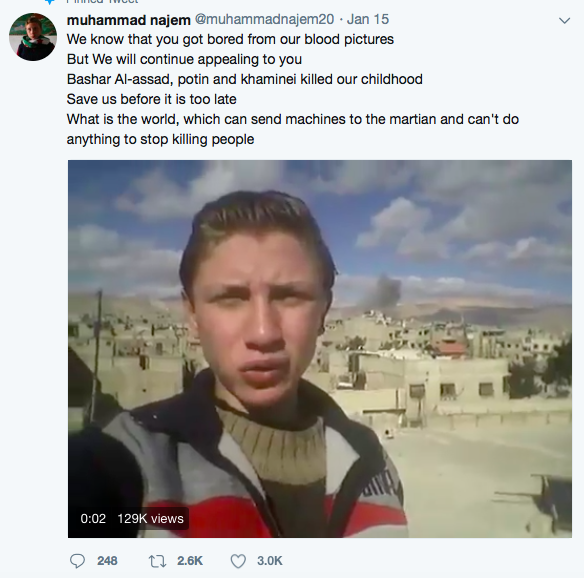 Whether you are a president or a terrorist, if you don’t understand how to deploy the power of social media effectively you may win the odd battle but you will lose a twenty-first century war. Here, journalist David Patrikarakos draws on unprecedented access to key players to provide a new narrative for modern warfare. He travels thousands of miles across continents to meet a de-radicalized female member of ISIS recruited via Skype, a liberal Russian in Siberia who takes a job manufacturing “Ukrainian” news, and many others to explore the way social media has transformed the way we fight, win, and consume wars-and what this means for the world going forward. 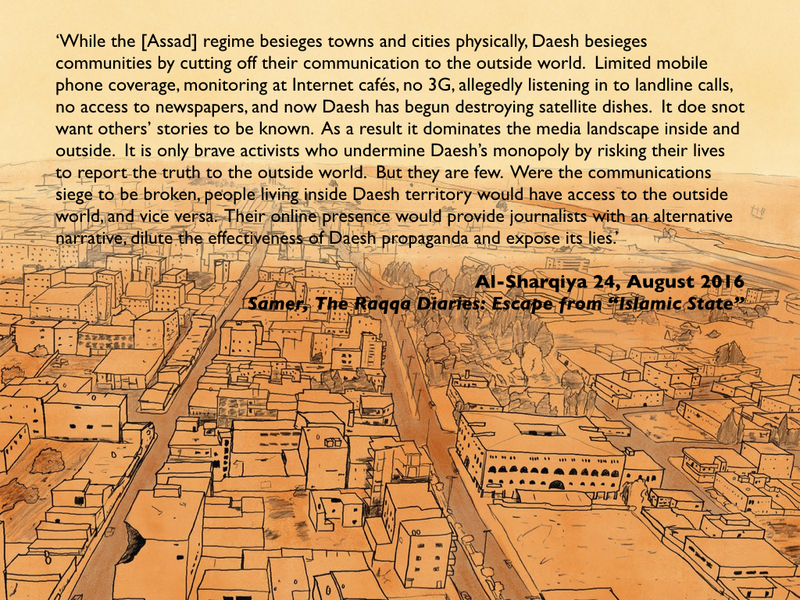 You can read the introduction here (scroll down) and find an interview with the author here. It’s popular these days to proclaim that Clausewitz is passé and war is now waged via smartphones and Facebook feeds. Few writers have actually explored what this means in practice. 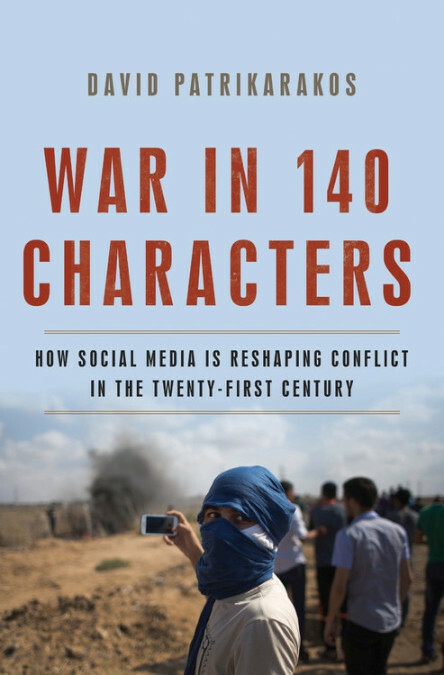 The journalist David Patrikarakos’s new book, War in 140 Characters, chronicles in granular detail how social media has transformed the way that modern wars are fought. From the battlefields of eastern Ukraine to the bot factories of St. Petersburg, Patrikarakos takes us into the lives of ordinary citizens with no military training who have changed the course of conflicts with nothing more than a laptop or iPhone. At the core of Patrikarakos’s book is the idea that narrative war has become far more important than physical war due to new technologies that shape public perceptions of conflicts in real time, regardless of what is actually happening on the battlefield. The spread of social media, he argues, has brought about a situation of “virtual mass enlistment” that gives civilians as much power as state propaganda machines — and sometimes more. Although some techno-utopians have celebrated the breakdown of centralized state control of information and the empowerment of the individual to challenge authoritarian regimes, he is not starry-eyed about the leveling of the playing field. “[B]ecause these new social media forums are structurally more egalitarian,” he writes, “many delight in holding up the Internet as the ultimate tool against tyrants.” It is not. As Patrikarakos notes, “the state will always fight back” — and it has. The greatest strength of War in 140 Characters is the author’s preference for in-depth reporting over soundbite-ready platitudes. This is not a book of Lexuses and olive trees. A caution that should be applied more widely…. 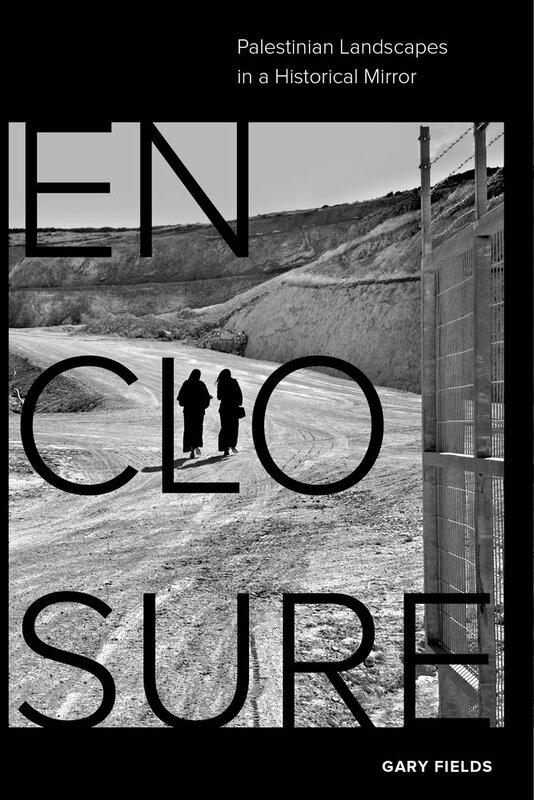 Enclosure marshals bold new arguments about the nature of the conflict in Israel/Palestine. Gary Fields examines the dispossession of Palestinians from their land—and Israel’s rationale for seizing control of Palestinian land—in the contexts of a broad historical analysis of power and space and of an enduring discourse about land improvement. Focusing on the English enclosures (which eradicated access to common land across the English countryside), Amerindian dispossession in colonial America, and Palestinian land loss, Fields shows how exclusionary landscapes have emerged across time and geography. Evidence that the same moral, legal, and cartographic arguments were used by enclosers of land in very different historical environments challenges Israel’s current claim that it is uniquely beleaguered. This comparative framework also helps readers in the United States and the United Kingdom understand the Israeli/Palestinian conflict in the context of their own histories. There is an excellent review essay by the inimitable Raja Shehadeh over at the New York Review of Books for 18 January; you can read the opening chapter (‘The contours of enclosure’) here; and there’s a brief, illustrated blog post by Gary on ‘the will to resist’ here. From the first vistas provided by flight in balloons in the eighteenth century to the most recent sensing operations performed by military drones, the history of aerial imagery has marked the transformation of how people perceived their world, better understood their past, and imagined their future. 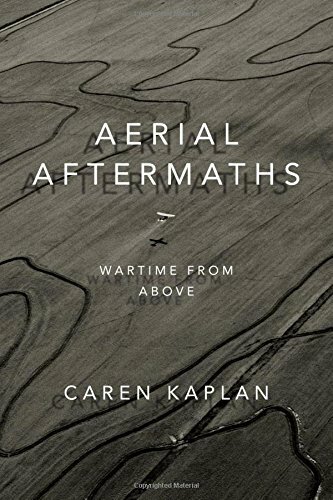 In Aerial Aftermaths Caren Kaplan traces this cultural history, showing how aerial views operate as a form of world-making tied to the times and places of war. Kaplan’s investigation of the aerial arts of war—painting, photography, and digital imaging—range from England’s surveys of Scotland following the defeat of the 1746 Jacobite rebellion and early twentieth-century photographic mapping of Iraq to images taken in the immediate aftermath of 9/11. 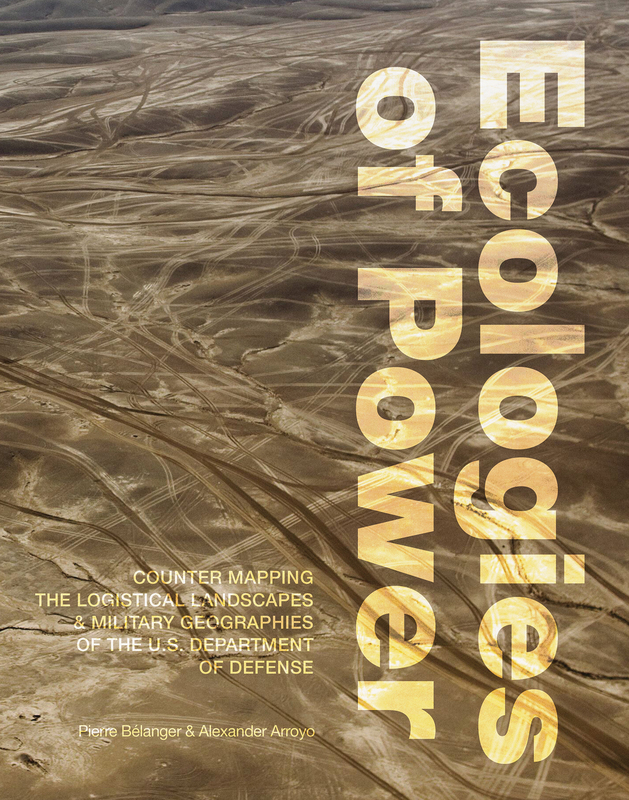 Throughout, Kaplan foregrounds aerial imagery’s importance to modern visual culture and its ability to enforce colonial power, demonstrating both the destructive force and the potential for political connection that come with viewing from above. One hundred years ago, French troops fired tear gas grenades into German trenches. Designed to force people out from behind barricades and trenches, tear gas causes burning of the eyes and skin, tearing, and gagging. 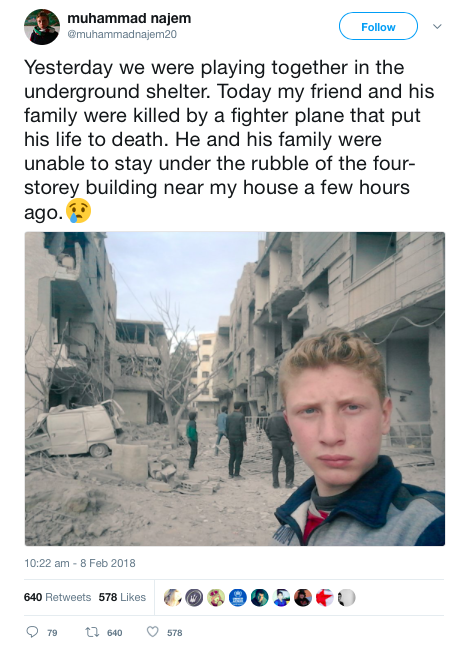 Chemical weapons are now banned from war zones. But today, tear gas has become the most commonly used form of “less-lethal” police force. In 2011, the year that protests exploded from the Arab Spring to Occupy Wall Street, tear gas sales tripled. Most tear gas is produced in the United States, and many images of protestors in Tahrir Square showed tear gas canisters with “Made in USA” printed on them, while Britain continues to sell tear gas to countries on its own human rights blacklist. 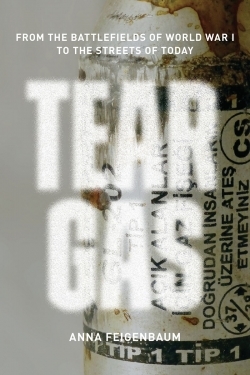 An engrossing century-spanning narrative, Tear Gas is the first history of this weapon, and takes us from military labs and chemical weapons expos to union assemblies and protest camps, drawing on declassified reports and witness testimonies to show how policing with poison came to be. I’ve trailed this before, but now it’s out; there’s an engaging and detailed review by Peter Mitchell at Review 31 here. 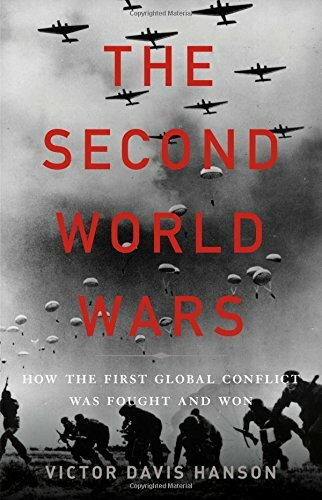 The Second World Wars examines how combat unfolded in the air, at sea, and on land to show how distinct conflicts among disparate combatants coalesced into one interconnected global war. 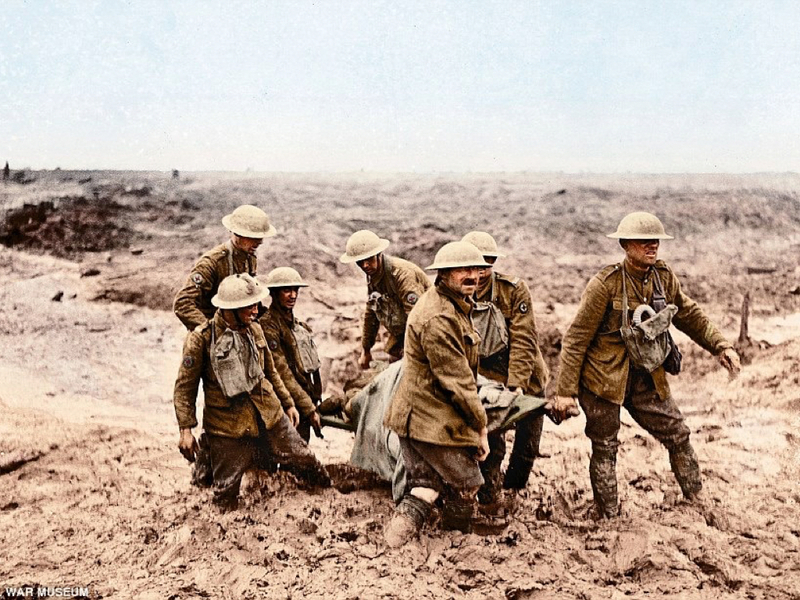 Drawing on 3,000 years of military history, Victor Davis Hanson argues that despite its novel industrial barbarity, neither the war’s origins nor its geography were unusual. Nor was its ultimate outcome surprising. The Axis powers were well prepared to win limited border conflicts, but once they blundered into global war, they had no hope of victory. An authoritative new history of astonishing breadth, The Second World Wars offers a stunning reinterpretation of history’s deadliest conflict. I was alerted to this by Joshua Rothman‘s thoughtful review in the New Yorker just before Christmas. With the rise of drones and computer-controlled weapons, the line between war and video games continues to blur. In this book, the authors trace how the realities of war are deeply inflected by their representation in popular entertainment. War games and other media, in turn, feature an increasing number of weapons, tactics, and threat scenarios from the War on Terror. 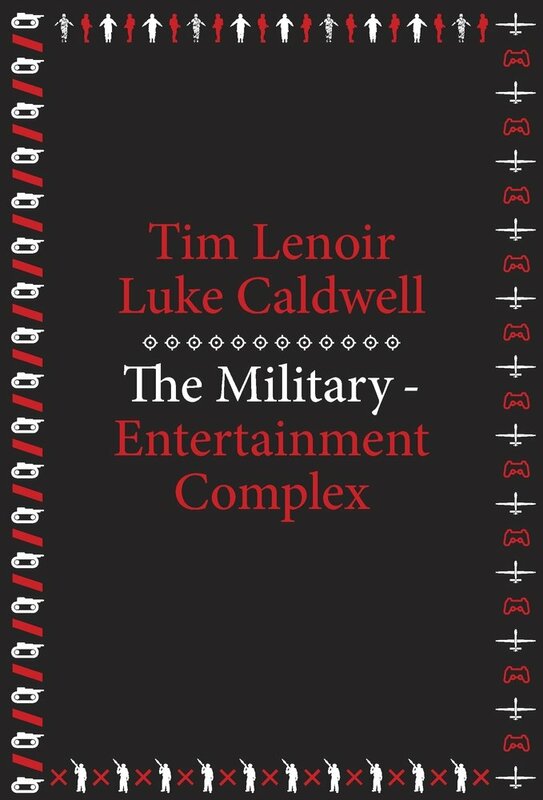 While past analyses have emphasized top-down circulation of pro-military ideologies through government public relations efforts and a cooperative media industry, The Military-Entertainment Complex argues for a nonlinear relationship, defined largely by market and institutional pressures. Tim Lenoir and Luke Caldwell explore the history of the early days of the video game industry, when personnel and expertise flowed from military contractors to game companies; to a middle period when the military drew on the booming game industry to train troops; to a present in which media corporations and the military influence one another cyclically to predict the future of warfare. In addition to obvious military-entertainment titles like America’s Army, Lenoir and Caldwell investigate the rise of best-selling franchise games such as Call of Duty, Battlefield, Medal of Honor, and Ghost Recon. The narratives and aesthetics of these video games permeate other media, including films and television programs. This commodification and marketing of the future of combat has shaped the public’s imagination of war in the post-9/11 era and naturalized the U.S. Pentagon’s vision of a new way of war. Contemporary Western war is represented as enacting the West’s ability and responsibility to help make the world a better place for others, in particular to protect them from oppression and serious human rights abuses. That is, war has become permissible again, indeed even required, as ethical war. At the same time, however, Western war kills and destroys. This creates a paradox: Western war risks killing those it proposes to protect. This book examines how we have responded to this dilemma and challenges the vision of ethical war itself, exploring how the commitment to ethics shapes the practice of war and indeed how practices come, in turn, to shape what is considered ethical in war. The book closely examines particular practices of warfare, such as targeting, the use of cultural knowledge, and ethics training for soldiers. What emerges is that instead of constraining violence, the commitment to ethics enables and enhances it. 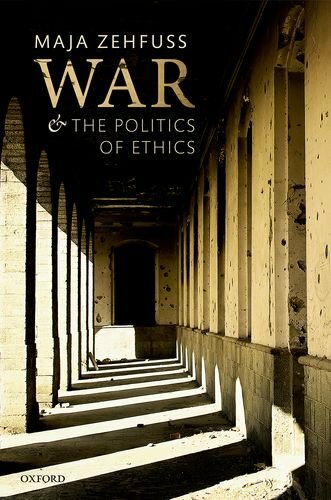 The book argues that the production of ethical war relies on an impossible but obscured separation between ethics and politics, that is, the problematic politics of ethics, and reflects on the need to make decisions at the limit of ethics. Historians have become increasingly interested in material culture as both a category of analysis and as a teaching tool. And yet the profession tends to be suspicious of things; words are its stock-in-trade. What new insights can historians gain about the past by thinking about things? A central object (and consequence) of modern warfare is the radical destruction and transformation of the material world. 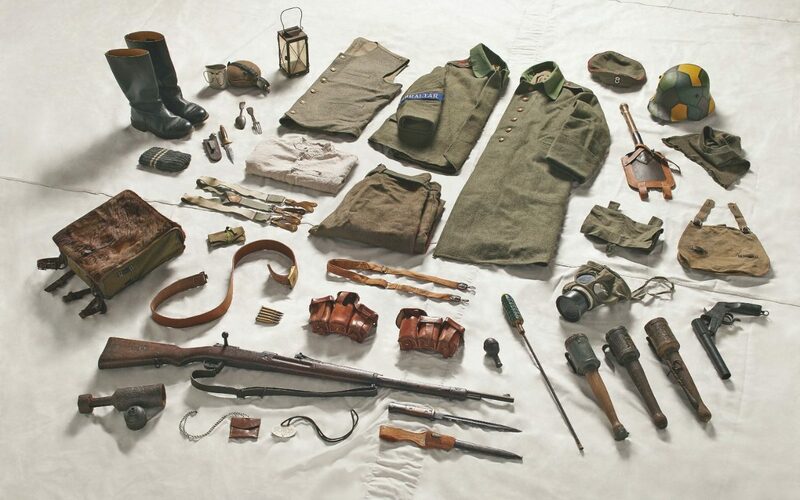 And yet we know little about the role of material culture in the history of war and forced displacement: objects carried in flight; objects stolen on battlefields; objects expropriated, reappropriated, and remembered. 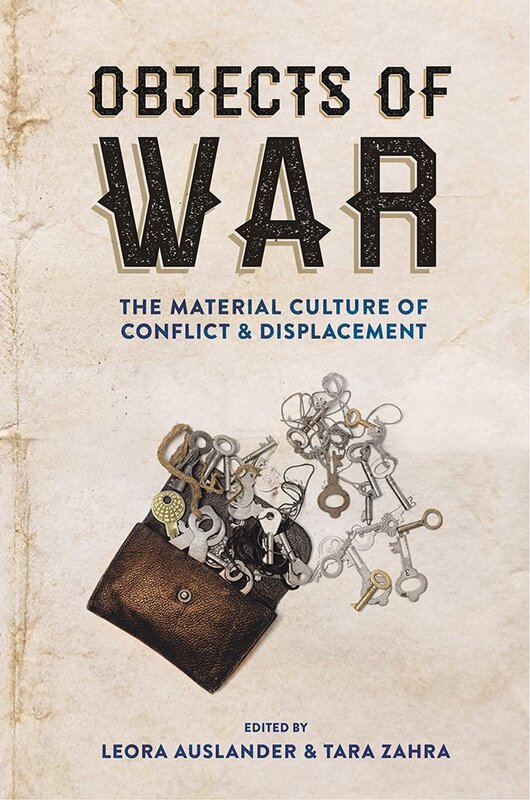 Objects of War illuminates the ways in which people have used things to grapple with the social, cultural, and psychological upheavals wrought by war and forced displacement. Chapters consider theft and pillaging as strategies of conquest; soldiers’ relationships with their weapons; and the use of clothing and domestic goods by prisoners of war, extermination camp inmates, freed people and refugees to make claims and to create a kind of normalcy. While studies of migration and material culture have proliferated in recent years, as have histories of the Napoleonic, colonial, World Wars, and postcolonial wars, few have focused on the movement of people and things in times of war across two centuries. This focus, in combination with a broad temporal canvas, serves historians and others well as they seek to push beyond the written word. The way wars are fought has changed starkly over the past sixty years. International military campaigns used to play out between large armies at central fronts. Today’s conflicts find major powers facing rebel insurgencies that deploy elusive methods, from improvised explosives to terrorist attacks. 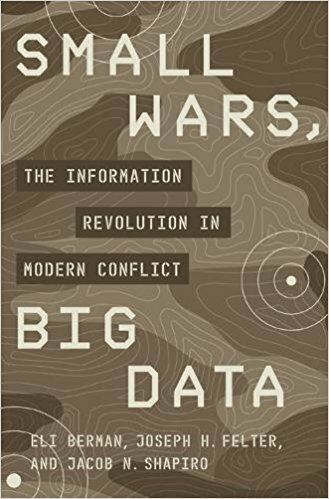 Small Wars, Big Data presents a transformative understanding of these contemporary confrontations and how they should be fought. The authors show that a revolution in the study of conflict–enabled by vast data, rich qualitative evidence, and modern methods―yields new insights into terrorism, civil wars, and foreign interventions. 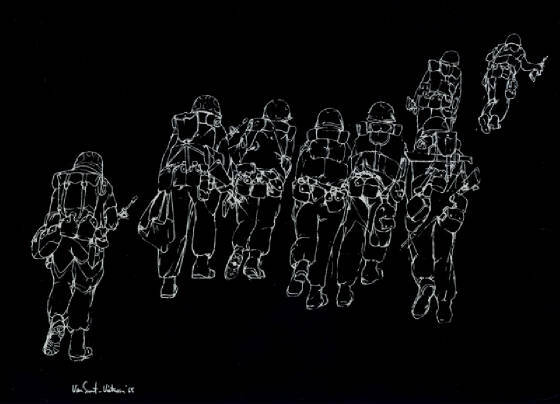 Modern warfare is not about struggles over territory but over people; civilians―and the information they might choose to provide―can turn the tide at critical junctures. 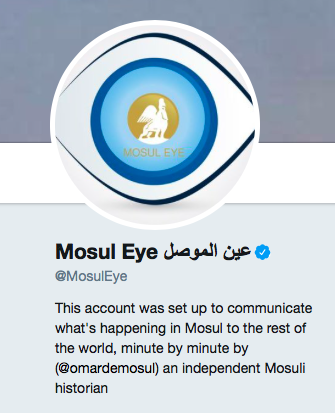 a de-centralised, distributed and dispersed geography of militarised vision whose fields of view expanded, contracted and even closed at different locations engaged in the administration of military violence. Far from being a concerted performance of Donna Haraway‘s ‘God-trick’ – the ability to see everything from nowhere – this version of networked war was one in which nobody had a clear and full view of what was happening. The point is a sharp one: different visualities jostle and collide, and in the transactions between the observers the possibility of any synoptic ‘God-trick’ disappears. But it needs to be sharpened, because different people have differential access to the distributed stream of visual feeds, mIRC and radio communications. Here the disposition of bodies combines with the techno-cultural capacity to make sense of what was happening to fracture any ‘common operating picture’. (Other writers – and artists – describe what Anthony Dunne called Hertzian space). This single audio cue alerts the Weapons Director that an unplanned engagement with hostile force – referred to as Troops in Contact, or TIC – has occurred somewhere in Afghanistan. On the Weapons Director’s computer monitor a chat room window ashes to distinguish itself from the dozens of rooms he monitors continuously. More than a thousand kilometers away, a Joint Terminal Attack Controller on the ground has called for a Close Air Support (CAS) aircraft to assist the friendly forces now under assault. The Weapons Director has minutes to move remotely piloted vehicles away from the CAS aircraft’s ight path, to de-conict the air support and ground re from other aircraft, and to provide an update on hostile activity to all concerned. 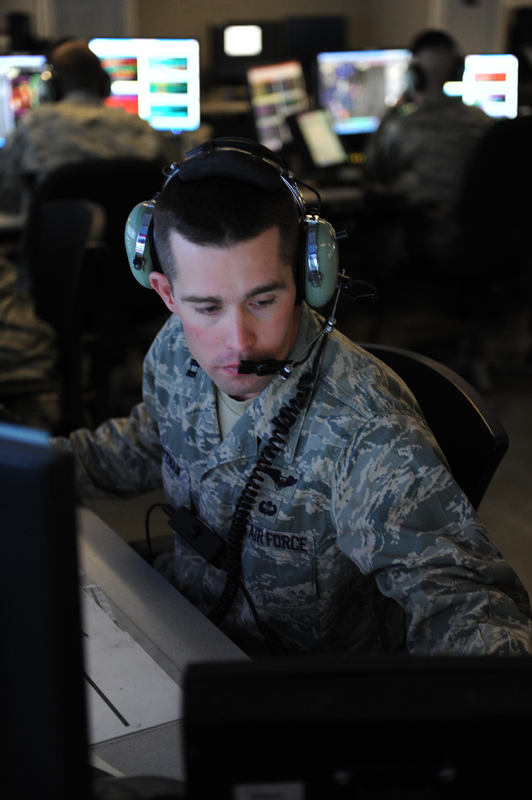 The Weapons Director has numerous communication methods at his disposal, including VoIP and tactical radio to quickly get the critical information to operators throughout southwest Asia and across the world, including communicating across differently classied networks. This enables key participants to assess the situation and to commence their portions of the mission in parallel. You can find the US military’s view of the 71st here – it called the Squadron, since deactivated, its ‘eyes in the sky’ – and on YouTube here. In practice, the Hertzian landscape is no isotropic plane. 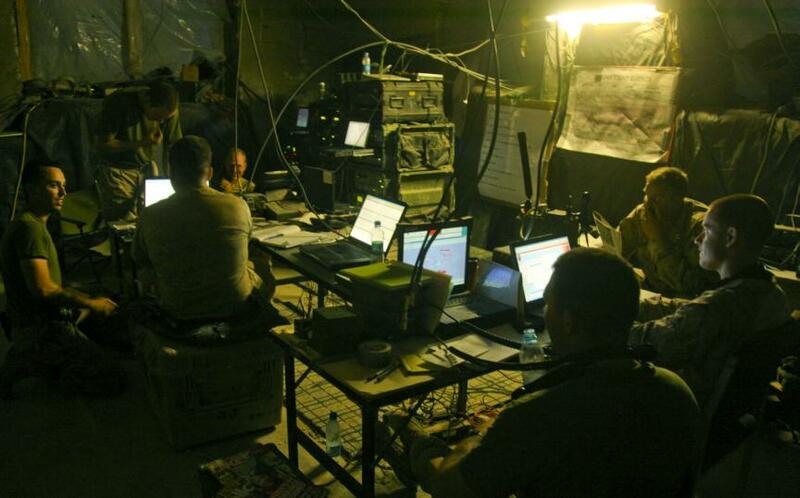 Its heterogeneous in space and inconstant in time, and it has multiple, variable and even mobile terrestrial anchor points: some highly sophisticated and centralised (like the Combined Air Operations Center at Al Udeid), others improvisational, even jerry-rigged (see above), and yet others wholly absent (in the Uruzgan case the Joint Terminal Attack Controller with the Special Forces Detachment had no ROVER, a militarized laptop, and so he was unable to receive the video stream from the Predator). In fact, they don’t work with the ‘full repertoire of agencies’ because, like most commentators, their analysis is confined to the transcript of radio communications between the aircrews tracking the vehicles and the Joint Terminal Attack Controller on the ground. 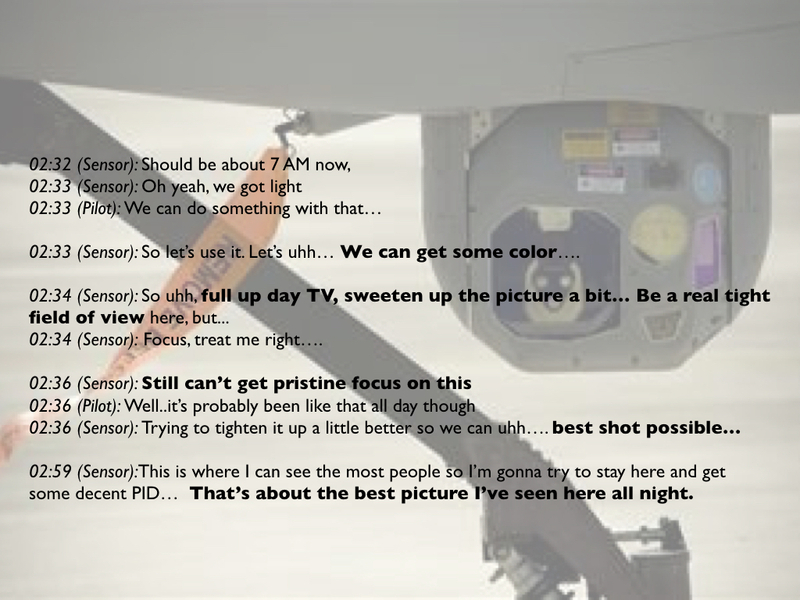 Although this excludes testimony from the ground staff in superior command posts (‘operations centres’) in Kandahar and Bagram and from those analysing the video feeds in the continental United States, these actors were subject to the same interferences: but their effects were none the less different. The catastrophic air strike, as Mitchell almost said, was ‘smeared across multiple sites’… a ‘smearing’ because the time and space in which it was produced was indistinct and inconstant, fractured and febrile. Here, in summary form, are the interferences Pierre and Alexander identify, an inventory which they claim ‘renders the seemingly invisible and neutral space of the electromagnetic environment extremely social and deeply spatial’ (p. 319). It does that for sure, but the the exchanges they extract from the transcripts do not always align with the general interferences they enumerate – and, as you’ll see, I’m not sure that all of them constitute ‘interferences’. 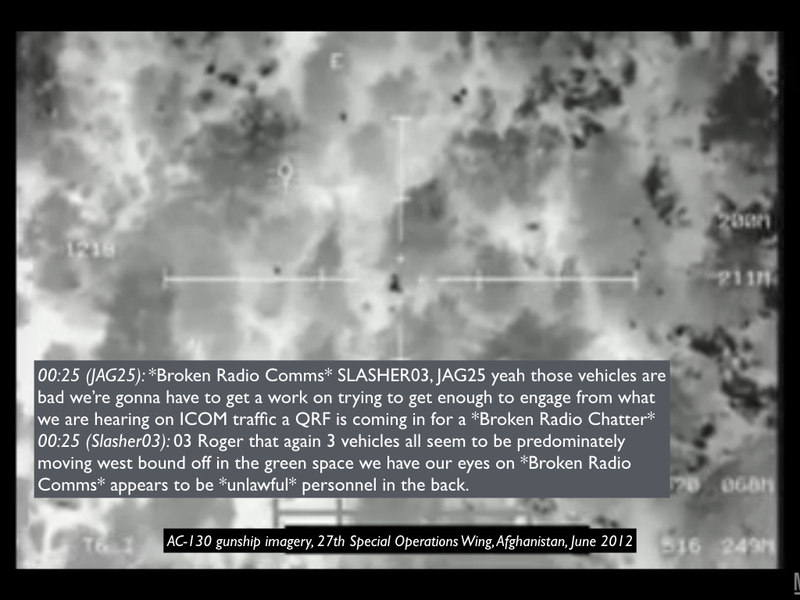 (1) Thermal interference: The Predator started tracking the three vehicles while it was still dark and relied on infrared imagery to do so (so did the AC-130 which preceded them: see the images above). Movement turns out to be ‘the key signature that differentiates an intensive landscape of thermal patterns into distinct contours and forces’, but it was not only the movement of the vehicles that mattered. 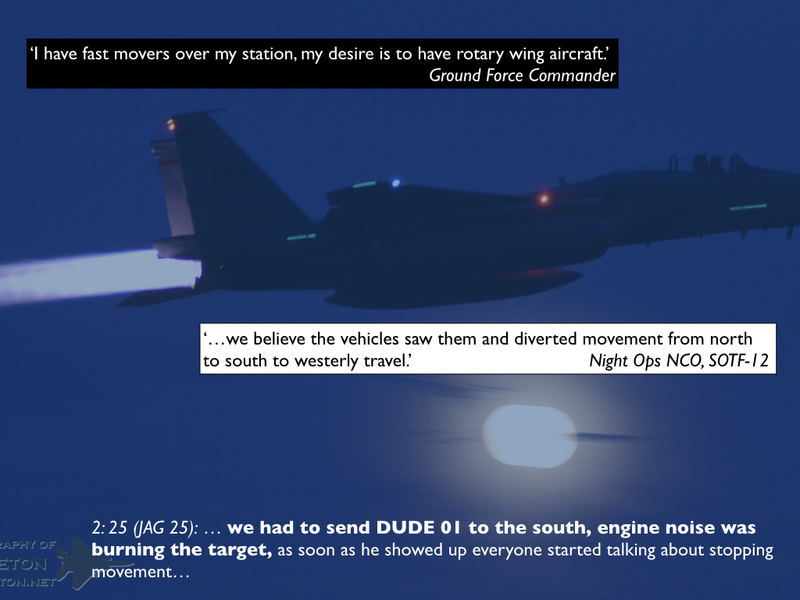 The crew also strained to identify the occupants of the vehicles and any possible weapons – hence the Sensor Operator’s complaint that ‘the only way I’ve ever been able to see a rifle is if they move them around when they’re holding them’ – and the interpretation of the imagery introduced ‘novel semiotic complexities, discontinuities and indeterminacies’ (p. 280). (2) Temporal interference: Times throughout the radio exchanges were standardised to GMT (‘Zulu time’), though this was neither the time at Creech Air Force Base in Nevada (-8 hours) nor in Uruzgan (+4 1/2 hours). Hence all of those involved were juggling between multiple time zones, and the Sensor Operator flipped between IR and ‘full Day TV’. ‘Yet this technical daylighting of the world [the recourse to Zulu time] is not always a smooth operation, always smuggling back in local, contingent temporalities into universal time from all sides’ (p. 281). 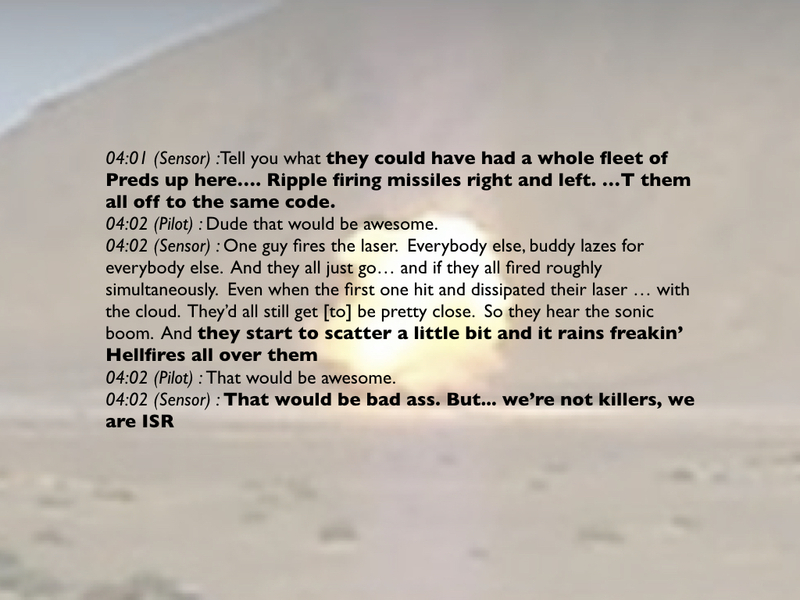 (4) Informational interference: The transcript reveals multiple points of view on what was being seen – and once the analysis is extended beyond the transcript to those other operations centres the information overload (sometimes called ‘helmet fire’) is compounded. (5) Altitudinal, meteorologic interference: The Predator’s altitude was not a constant but was changed to deconflict the airspace as other aircraft were moved into and out of the area; those changes were also designed to improve flight operations (remote platforms are notoriously vulnerable to changing weather conditions) and image quality. There were thus ‘highly choreographed negotiations of and between contingently constituted spatial volumes – airspace – and [electro-magnetic] spectral spaces, both exploiting and avoiding the thickened electromagnetic atmospheres of communications systems and storms alike’ (p. 288). 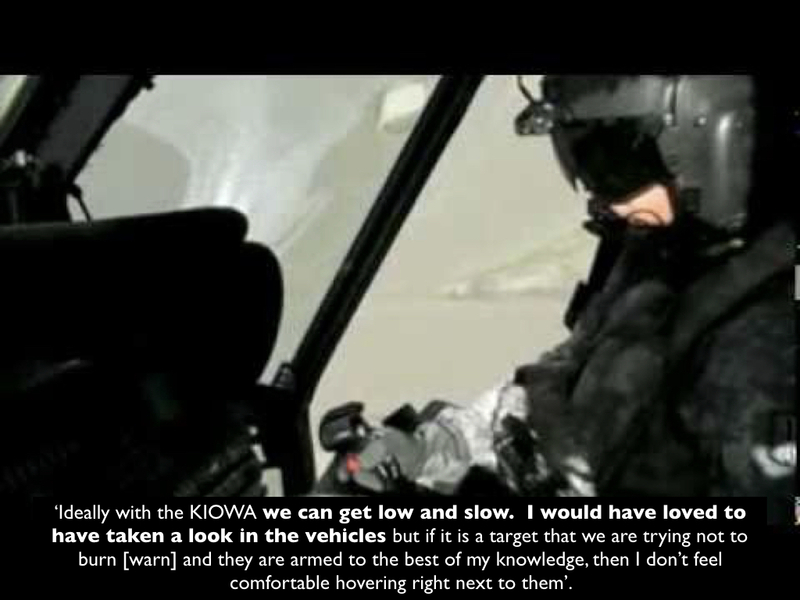 (6) Sensorial interference: When two strike aircraft (‘fast movers’) were sent to support the Special Forces, the Ground Force Commander ordered them out of the area in case they ‘burn’ (warn) the target; similarly, the OH-158 helicopters did not move in ‘low and slow’ to observe the three vehicles more closely in case that alerted their occupants. ‘While the acoustic space of [the Predator] personnel is characterised by speech and static, the occupation of spectral space generates another acoustic space for surface-bound targets of surveillance. Each aircraft bears a particular acoustic signature … [and] in the absence of visual contact the whines, whirs and wails of encroaching aircraft warn targets of the content of communications… These disparate acoustic spaces reveal the asymmetry of sensory perception and heightened awareness between the graphic (visual) and acoustic channels’ (p. 289). That asymmetry was accentuated because, as Nasser Hussain so brilliantly observed, the video feeds from the Predator were silent movies: none of those watching had access to the conversations between the occupants of the vehicles, and the only soundtrack was provided by those watching from afar. 02:27 (Mission Intelligence Coordinator MIC): Alright we need to relay that. 02:28 (JAG 25):(static) Are you trying to contact me, over? 0228 (Pilot): Jag 25, Kirk97, affirm, have a relay from SOTF KAF [Special Operations Task Force at Kandahar Airfield] fires [Fires Officer], he wants you to know that he uhh cannot talk on SAT 102. Serpent 12 can hear Fox 24 on SATCOM, and is trying to reply. Also ,the AWT [Aerial Weapons Team] is spooling up, and ready for the engagement. How copy? (8) Semantic interference: To expedite communications the military relies on a series of acronyms and shorthands (‘brevity codes’), but as these proliferate they can obstruct communication and even provoke discussion about their meaning and implication (hence the Mission Intelligence Controller: ‘God, I forget all my acronyms’); sometimes, too, non-standard terms are introduced that add to the confusion and uncertainty. (9) Strategic, tactical interference: Different aerial platforms have different operational envelopes and these both conform to and extend ‘a strategic stratigraphy of airspace and spectral space alike’ (p. 296). I confess I don’t see how this constitutes ‘interference’. (10) Occupational interference: The knowledge those viewing the Full Motion Video feeds bring to the screen is not confined to their professional competences but extends into vernacular knowledges (about the identification of the three vehicles, for example): ‘The casual fluency with which particular visuals signals are discussed, interpreted and mined for cultural information shows a broad base of vernacular technical knowledge’ (p. 297). The example Pierre and Alexander give relates to a discussion over the makes of the vehicles they are tracking, but again I don’t see how this constitutes ‘interference’ – unless that vernacular knowledge collides with professional competences. The most obvious examples of such a collision are not technical at all but reside in the assumptions and prejudices the crew brought to bear on the actions of those they were observing. Some were ostensibly tactical – the investigation report noted that the crew ‘made or changed key assessments [about the intentions of those they were observing] that influenced the decision to destroy the vehicles’ and yet they had ‘neither the training nor the tactical expertise to make these assessments’ – while others were cultural (notably, a marked Orientalism). (11) Physiological interference: Here Pierre and Alexander cite the corporeality of those operating the Predator: the stresses of working long shifts (and the boredom), the rest breaks that interrupt the ‘unblinking stare’, and the like. Pierre and Alexander see a jibing of these two missions (though whether that justifies calling this ‘interference’ is another question): ‘Despite the blurry, hairline differences between [Intelligence, Surveillance and Reconnaissance] and kill-chain operations, the ontologies of informational and kinetic environments make for different occupational worlds altogether’ (p. 301). I’m not sure about that; one of the key roles of Predators – as in this case – has been to mediate strikes carried out by other aircraft, and while those mediations are frequently complicated and fractured (as Pierre and Alexander’s inventory shows) I don’t think this amounts to occupying ‘different occupational worlds’ let alone provoking ‘interference’ between them. (13) Geographic, altitudinal interference: This refers to the problems of a crowded airspace and the need for deconfliction (hence the pilot’s call: ‘I got us new airspace so even if they do keep heading west we can track them’). (14) Cognitive interference: Remote operations are characterised by long, uneventful periods of watching the screen interrupted by shorter periods of intense, focused strike activity – a cyclical process that Pierre and Alexander characterise as an ‘orbital tension of acceleration and deceleration [that] lies at the heart of the killchain’ that profoundly affects ‘cognitive processing in and of the volatile operational environment’ (p. 305). For them, this is epitomised when the Mission Intelligence Coordinator typed ‘Killchain’ into mIRC and immediately cleared the chat window for all but essential, strike-related communications. (15) Topographic, organizational interference: Pierre and Alexander claim that ‘the complex relief of the ground, that is terrain and topography, is magnified in remote-split operations’ – this is presumably a reference to the restricted field of view of those flying the platforms – and that this is paralleled by the different levels of command and control to which the crews are required to respond: ‘navigating competing command pyramids is taken in stride with maneuvering around mountains’ (p. 308). These are important observations, but I don’t see what is gained by the juxtaposition; in the Uruzgan case the Predator was navigating mountainous terrain (‘You got a mountain coming into view,’ the Safety Observer advises, ‘keep it in a turn’) but the crew was not responding to directives from multiple operations centres. In fact, that was part of the problem: until the eleventh hour staff officers were content to watch and record but made no attempt to intervene in the operation. 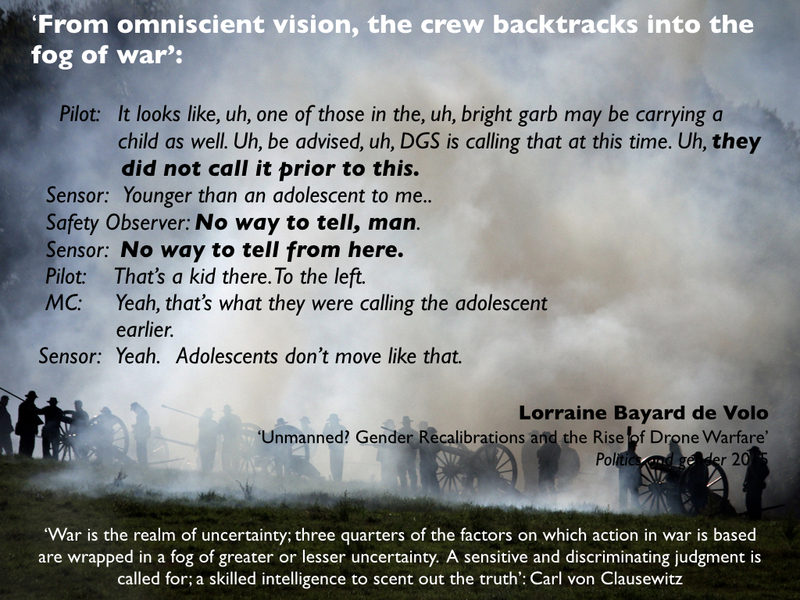 (16) Demographic, physiologic interference: Here Pierre and Alexander cite both the composition of the crews operating the remote platforms – predominantly young white men who, so they say, exhibit different inclinations to those of ‘conventional’ Air Force pilots – and the repeated identification of the occupants of the suspect vehicles as ‘Military-Aged Males (‘statistical stereotyping’) (p. 309). (19) Political, epistemological interference: Here the target is the cascade of redactions that runs through the unclassified version of the transcripts (and, by extension, the investigation report as a whole). ‘That redaction and the strategic project it serves – secrecy in the form of classification – is not necessarily deployed electromagnetically does not mean its effects are limited to analog media’ since the objective is to command and control a whole ‘ecology of communication'(p. 316) (see my posts here and here). 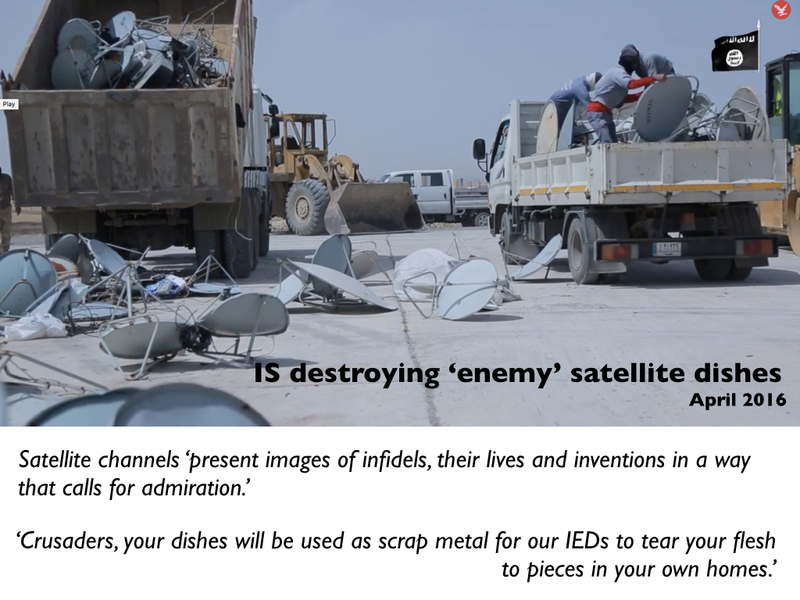 ‘Defined by moments of incoherence or interruption of a dominant signal that is itself a form of interference, interferences can take on different and often banal forms such as radio static, garbled signals, forgotten acronyms, misread gestures or even time lapses, which in the remote operational theaters of military missions result in disastrous actions. Moreover, interference indexes the common media, forms, processes, and spaces connecting apparently disparate communication and signals across distinct material and operational environments. They also emphasise, more than most of us, that the ‘networks’ that enable drone strikes are three-dimensional (so reducing them to a planar map does considerable violence to the violence), that the connections and communications on which they rely are imperfect and inconstant in time and space, and that these extend far beyond any conventional (or even unconventional) ‘landscape’. 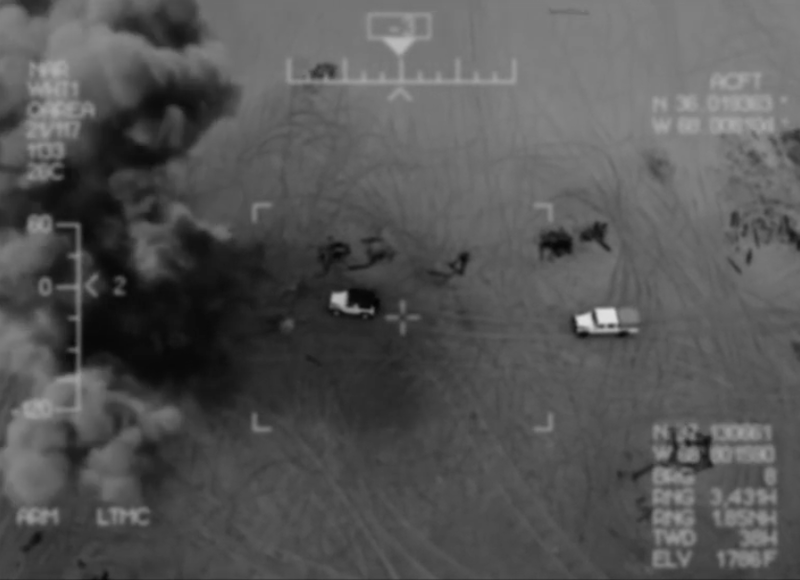 In general, I think, the critical analysis of drone warfare needs to be thickened in at least two directions: to address what happens on the ground, including the preparation of the ground, so to speak; and to reconstruct the fraught geopolitics of satellite communications and bandwidth that so materially shapes what is seen and not seen and what is heard and not heard. More to come on both. 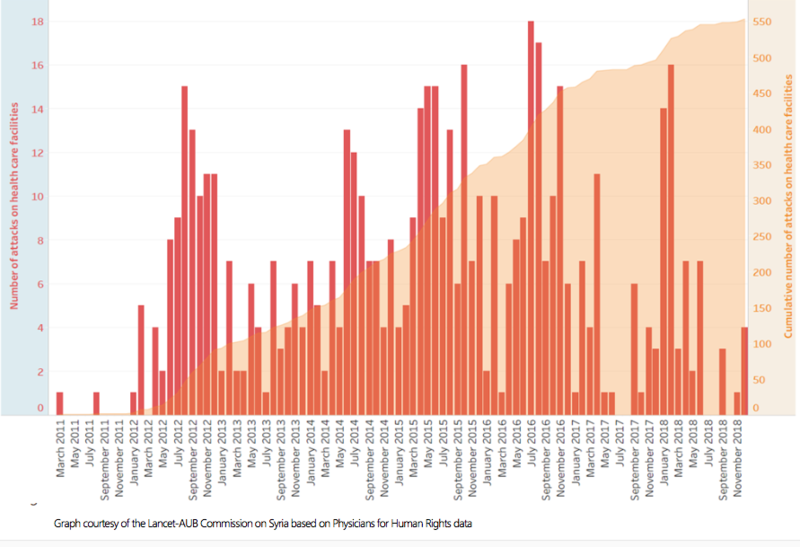 At Just Security the debate over the US air strike on the MSF Trauma Centre in Kunduz (see here and here) rumbles on, specifically around whether acknowledged violations of international humanitarian law (‘the laws of war’) constitute war crimes (see my previous post here). The latest contribution is from Adil Ahmad Haque and it is extremely helpful. But I’m struck by its title: ‘What the Kunduz report gets right (and wrong).‘ I’ve now read the report several times, and am working on my own commentary: but it turns out to be extremely difficult to know what the report gets right or wrong. I say this having read multiple Investigation Reports, known collectively as Army Regulation 15-6 Reports, into civilian casualties caused by US military action. They vary enormously in quality – the scope of the questions and the depth of the analysis – and in what has been released for public inspection. Of all those that I have read, the report into the Uruzgan air strike in February 2010 that I discuss in ‘Angry Eyes‘ (here and here; more to come) now seems a model to me (see also here). 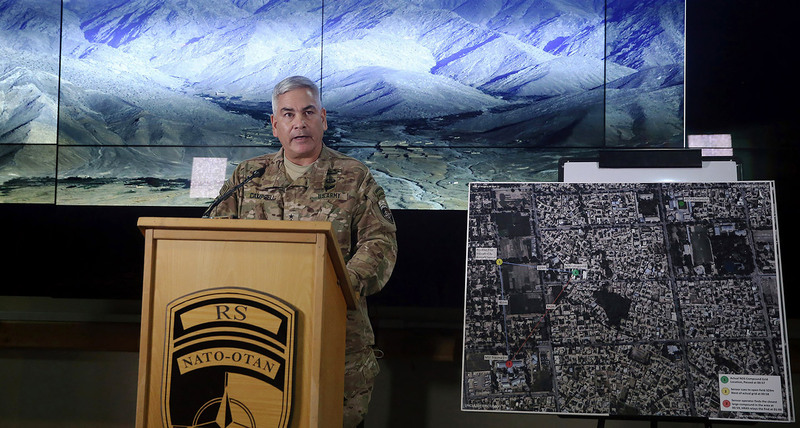 This is very different from the unclassified version of the report into the Kunduz incident. The investigation was headed by Major-General William Hickman, with two Assistant Investigating Officers – Brigadier-General Sean Jenkins and Brigadier-General Robert Armfield – supported by an unidentified Legal Advisor and five unidentified subject matter specialists in Special Operations; Intelligence, Surveillance and Reconnaissance; AC-130 Aircrew Operations (this was the gunship that carried out the attack); Joint Targeting; and JTAC Operations. The final report with its annexes reportedly runs to 3,000 pages, but the released version is much slimmer. It has been redacted with a remarkably heavy hand. I understand why names have been redacted – they were in the Uruzgan case too – but to remove all direct indications of rank or role from the various statements makes interpretation needlessly burdensome. Some redactions seem to have been made not for reasons of security or privacy but to save embarrassment. For example: from contextual evidence I suspect that several references to ‘MAMs’ or ‘military-aged males’ – a term that was supposedly removed from US military vocabulary – have been excised, but some have escaped the blunt red pencil. On page after page even the time of an event has been removed: this is truly bizarre, since elsewhere the report is fastidious in fixing times and, notably, insists that the aircraft fired on the Trauma Center for precisely ‘30 minutes and 8 seconds’. The timeline matters and is central to any proper accounting for what happened: why suppress it? Again in stark contrast to the Uruzgan report, the public version of the Kunduz report includes remarkably few transcriptions of the ‘extensive interviews’ its authors conducted with US and Afghan personnel or with MSF officials – too often just terse memoranda summarising them. The AC-130 video has been withheld from public scrutiny – this was done in the Uruzgan case too – but, apart from a few selected extracts, the audio transcripts that were central to the Uruzgan case have been omitted from this one as well: and they are no less vital here. Even if we bracket understandable concerns about the US military investigating itself, how can the public have any confidence in a report where so much vital information has been excluded? If the military is to be accountable to the public that it serves and the people amongst whom (and for whom) it fights, then its accounts of incidents like this need to be as full and open as security and privacy allow. Otherwise we pass into an Alice-in-Wonderland world where the Freedom of Information Act becomes a Freedom of Redaction Act. As you’ll see, I’ll have more questions about the substance of the report when I complete my commentary. Citizen Ex calculates your Algorithmic Citizenship based on where you go online. Every site you visit is counted as evidence of your affiliation to a particular place, and added to your constantly revised Algorithmic Citizenship. Because the internet is everywhere, you can go anywhere – but because the internet is real, this also has consequences. Marketing and web analytic companies have implemented sophisticated algorithms to observe, analyze, and identify users through large surveillance networks online. These computer algorithms have the capacity to infer categories of identity upon users based largely on their web-surfing habits. In this article I will first discuss the conceptual and theoretical work around code, outlining its use in an analysis of online categorization practices. The article will then approach the function of code at the level of the category, arguing that an analysis of coded computer algorithms enables a supplement to Foucauldian thinking around biopolitics and biopower, of what I call soft biopower and soft biopolitics. These new conceptual devices allow us to better understand the workings of biopower at the level of the category, of using computer code, statistics and surveillance to construct categories within populations according to users’ surveilled internet history. Finally, the article will think through the nuanced ways that algorithmic inference works as a mode of control, of processes of identification that structure and regulate our lives online within the context of online marketing and algorithmic categorization. From James’s Citizen Ex site you can download (from the banner, top left) an extension to your browser which – after you’ve browsed some more – will calculate, in a very rough and ready way, your own algorithmic citizenship. Mine (from today’s little effort) is shown at the head of this post. This may look like an entertaining distraction, but what lies behind it is of course deadly serious: read, for example, James’s (short) stories on Libya and Syria. Created as a browser plug-in, Citizen Ex shows us the true physical locations of the sites we visit and the territories that govern our actions as we traverse the web. In this reality, every mouse click leaves a trace, as our personal data is collected and stored in locations around the globe. It is with this information that governments and corporations construct a notional vision of our lives. This is our ‘algorithmic citizenship’ — the way we appear to the network. This programmatic fluidity is far removed from the true complexity of human identity. 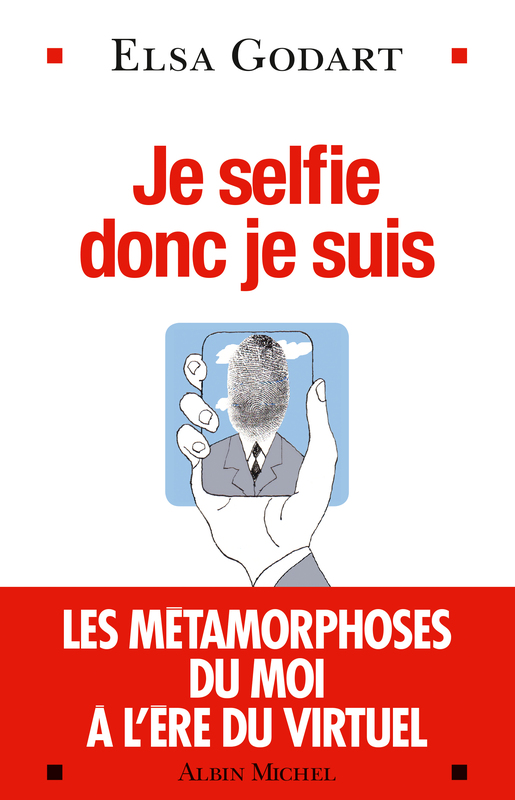 It reduces it to something calculable, which has profound implications for our understanding of privacy, citizenship and the self. It’s not difficult to divine (sic) how ‘Citizen Ex’ becomes ‘Citizen-Ex’. 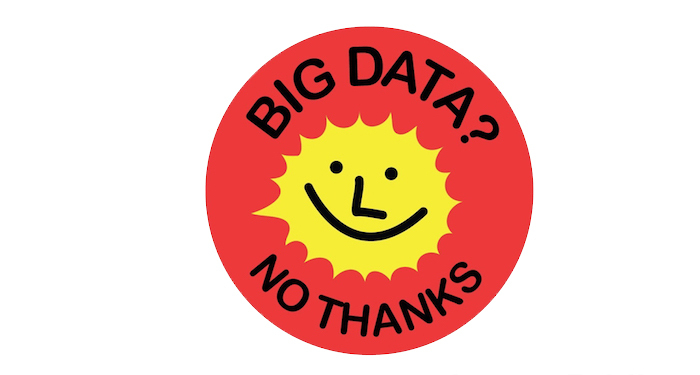 James Bridle has posted a lightly edited version of the excellent presentation he gave to “Through Post-Atomic Eyes” in Toronto last month – Big Data, No Thanks – at his blog booktwo. It’s an artful mix of text and images and, as always with James, both repay close scrutiny. If you look at the situation we are in now, a couple of years after the Snowden revelations, most if not all of the activities which they uncovered have been, if not secretly authorised already, signed into law and continued without much fuss. As Trevor Paglen has said: Wikileaks and the NSA have essentially the same political position: there are dark secrets at the heart of the world, and if we can only bring them to light, everything will magically be made better. One legitimises the other. Transparency is not enough – and certainly not when it operates in only one direction. This process has also made me question my own practice and that of many others, because making the invisible visible is not enough either. It’s easy to feel, looking back, that we spent the 20th Century living in a minefield, and I think we’re still living in a minefield now, one where critical public health infrastructure runs on insecure public phone networks, financial markets rely on vulnerable, decades-old computer systems, and everything from mortgage applications to lethal weapons systems are governed by inscrutable and unaccountable softwares. This structural and existential threat, which is both to our individual liberty and our collective society, is largely concealed from us by commercial and political interests, and nuclear history is a good primer in how that has been standard practice for quite some time. It’s a much richer argument than these snippets can convey. 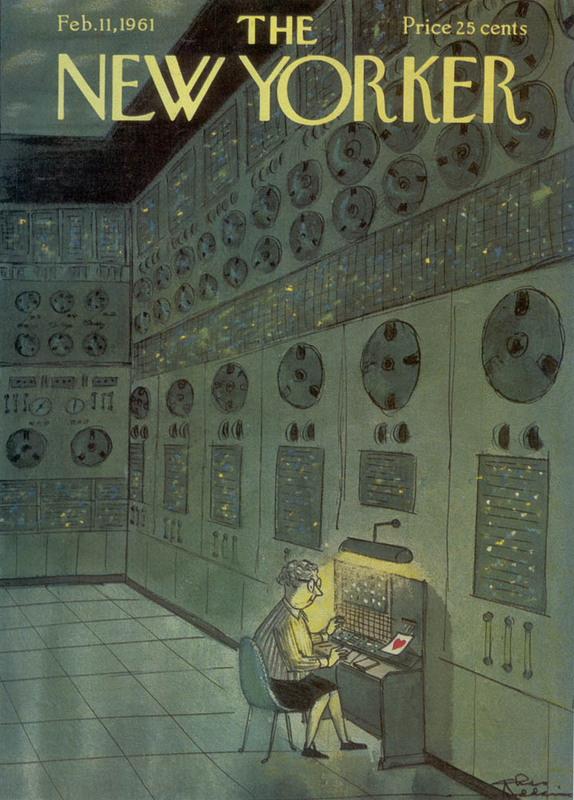 For me, the high spot comes when James talks about IBM’s Selective Sequence Electronic Calculator (really), which turns out to be the most explosive combination of secrecy and visibility that you could possibly imagine. I’m not going to spoil it – go and read it for yourself, and then the title of this post will make horrible sense. You can read more in George Dyson‘s absorbingly intricate account of Turing’s Cathedral: the origins of the digital universe (Allen Lane/Penguin, 2012).